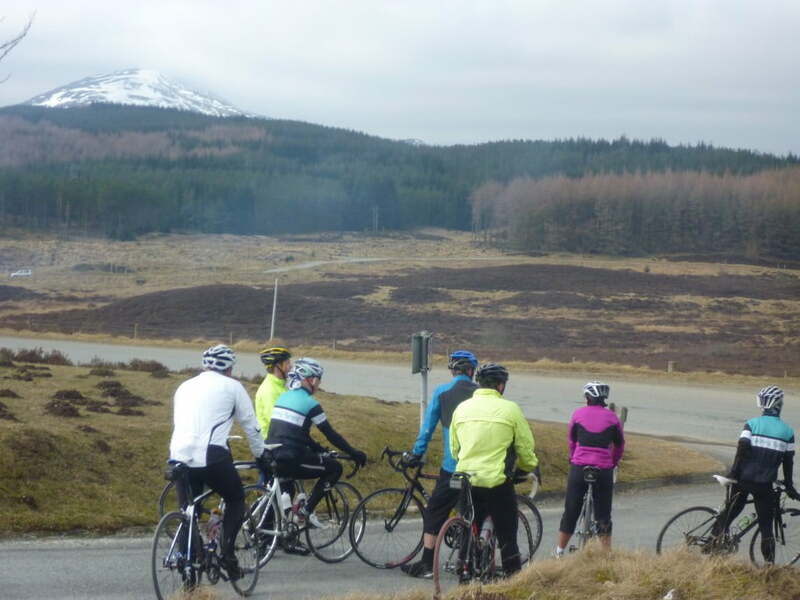 This was the second of our single day Etape Caledonia Training Rides for 2011. The route this week followed the Etape Caledonia route, but turned left at Tummel Bridge and missed out the Kinloch Rannoch loop. Instead we rode up the Braes of Foss side of Schiehallion, which is the second hardest of the three routes up. The group had a fantastic day and although a bit overcast, it was dry and fairly calm. Our guides for today were Aly and Erni who gave the group lots of tips and hints on riding in a group and how to prepare for the Etape Caledonia in May. We stopped at the House of Menzies for lunch and then back to Pitlochry for a sports massage and coffee.